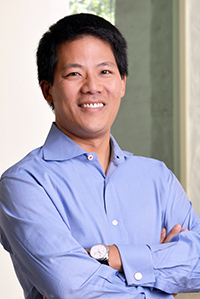 Jeff Lee joined the venture firm DCM as a principal last year after running his own business for the previous four years. We caught up with him recently to see how things are going, and what insights into DCM — a 19-year-old firm that invests in the U.S., China, and Japan — he might share. Most people know Yik Yak but don’t know DCM was an early lead investor. Does DCM like being under the radar in this sense? At DCM we are very focused on our entrepreneurs. We like our investments to speak for themselves. That said, we also do a lot of deals in China and Japan, where I think we actually are more visible than in the U.S.
What’s happening right now in China that most people in the Valley don’t have a good read on? Right now there is a huge amount of capital not only in China, but also in Japan, and it’s looking internationally for new opportunities. The major technology companies, “BAT” (Baidu, Alibaba, and Tencent) in China, as well as Rakuten, Softbank, and Recruit Holdings in Japan are actively looking to invest in U.S.-based companies, as well as to acquire startups. Also given that much of the mobile innovation really got started in Asia, startups should increasingly look to Asia as the emerging source of knowledge, capital, and potentially also exits. How competitive is it for a Series A investor to win a good deal right now? You’re relatively new to DCM — how’s it been in that regard? There is a ton of capital focused on Silicon Valley right now that has driven valuations to all-time-high levels, as well as increased competition for great deals. I prefer to get to know an entrepreneur ahead of a financing. It not only helps you lean forward on an opportunity, but ultimately helps to build [the kind of] trusted relationship you need to build a great business together. You spent a good deal of time building your previous company in LA. What are some of the biggest changes you’ve noticed since moving back to Silicon Valley? Well I did my undergrad at Stanford so in a lot of ways it feels like I’ve come home. I think the biggest difference between L.A. and the Valley is the pace and the feel of the community. Things happen much faster in the Valley because of the competition and size and fast feedback cycles, whereas L.A. has a tight entrepreneurial community because it tends to sit in the shadows of the entertainment industry, as well as Silicon Valley. Also because there are many other core industries in L.A. like entertainment, real estate, and autos and the population is so diverse, the types of entrepreneurs you find are also much more creative. The Valley is like the older, more mature brother of L.A. If you could share and broadcast one niche area you’re dying to invest in, what would it be and why? Workflow-enabled marketplaces. Complex tasks like remodeling your home have historically been difficult because they require the coordination of lots of different resources, and there’s frequently not visibility to figure out the right the small business vendors fit the job. These next generation marketplaces not only allow the user to identify the best vendors through reputation built within the system, but also coordinate the delivery of service through the SaaS-like workflow they provide. One thing I really love about these models is they’re network effect businesses that enable underserved markets, much like my prior company Cost Cooperative, which was a group- buying marketplace for small businesses. Addressing large, underserved needs with network effects are two core pieces in building an industry-defining, transformative business.